Simply Silhouette: I'm a Guest Designer over at the "Purple Scrapbooker"
I'm a Guest Designer over at the "Purple Scrapbooker"
It’s a 6X6 card and the center panel is 4X4. I cut the bunny from Create a Critter at 3 ½ “. and leave a comment on my card post over there. Hope you all enjoy this as much as I am! Just hopped over from Jen's blog after seeing your adorable card! I would have made it here eventually from my blogger roll since I'm already a follower of yours. Very cute card! Julie, I have been a follower of yours for a while, I really like the bunny card. I stopped by Jen's blog and became a follower. So glad I found your blog! Came from Jen's blog--love your card, love your blog! Love your card! The colors are great. Love the ribbon on the inside. I am already a follower of yours and am heading to Jen's blog to comment as well. I love this!!! I'm already a follower and would love to have you enter this card in the Creative Sister Monday Challenge on my blog!!! This card is SO SO CUTE! 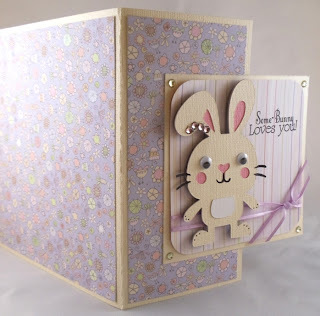 I love the gate fold and that bunny is too cute! Thanks for the great blog candy and good luck with getting to 1000! Adorable! Love the layout and the paper used. The colors and textures are wonderful together. Congratulation on the guest spot. Your card is absolutley beautiful. Your card is just to cute! I commented over at Purple scrapbooker but I love that card! So cute! Oh I just love this card, thanks for putting the dimensions Ive always wanted to make this style. So cute. Thanks for the giveaway too! so sweet of you! Ive never used one of these before and have wanted to purchase one, but wasnt sure. That card is super cute, I just love it! Congrats on being a guest designer it must be fun! Thanks for the chance to win the create-a-sticker, i don't have one! Great job, Julie. I'm happy you were selected as the guest designer. Maybe you should do a book????? Already a follower. Love the card. The bunny is adorable! Julie, this is just so cute ! You rocked it girl ! I love how it opens. I will have to try this some day.. Love the colors and the bunny..TFS!! LOVE the bunny card! The colors you choose really work so well together! 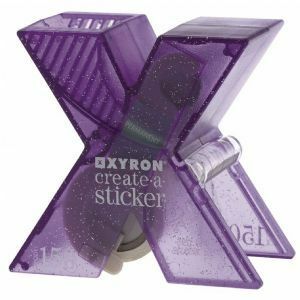 Thanks for the chance to win the Xyron since I don't have one yet!!! Your card is super cute. TFS and thanks for the chance to win a Xyron. 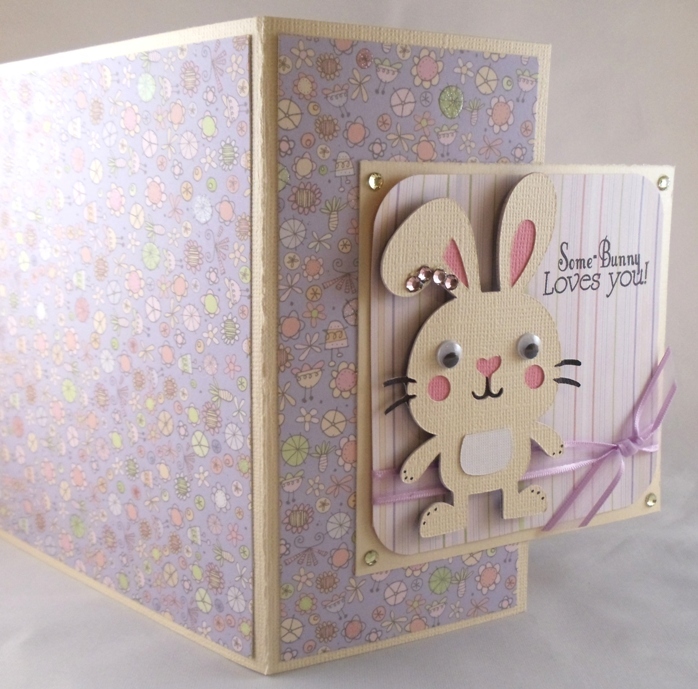 just came from the Purple Scrapbooker.. and I am in love with this adorable bunny card you made. it is super cute! thanks for sharing :) im a new follower. 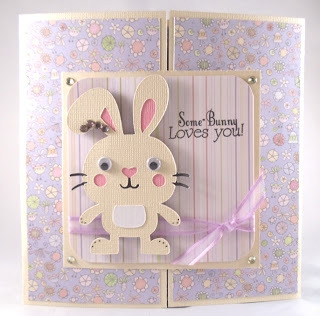 I've been a follower for a while now (of Jen's too) and am so in love with your bunny card!! Your card is adorable!! I am a follower of both! Thanks for the chance to win! Julie, this is such a cute card! I love the soft colors and the lit bunny is just adorable!! Congratz on the success of your blog. Have been a fan and a follower for some time now!! Really cute card. You are very talented. Thanks for the give away, we all love give aways. Love it Julie, this is so cute. Love how the front holds together like that, super cute. Very cute card! 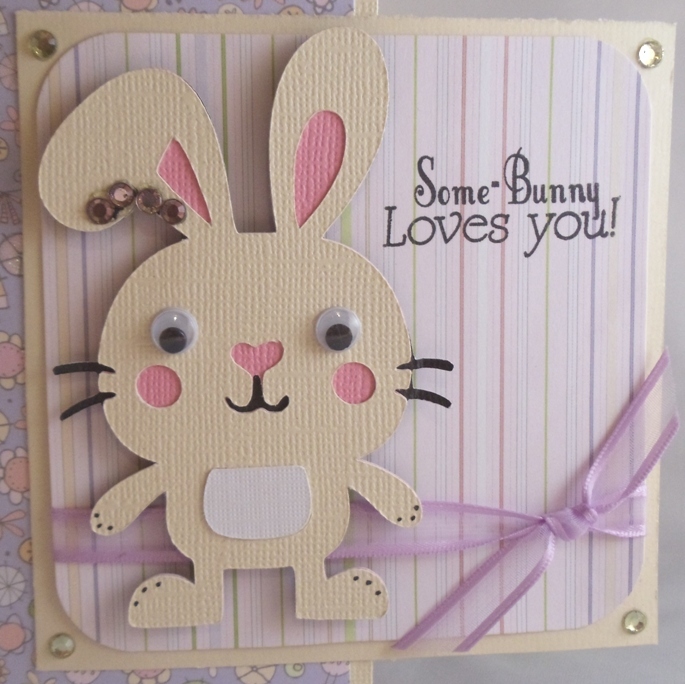 I like the bunny and how the card opens. saw this on Facebook, so cute. Super cute card. 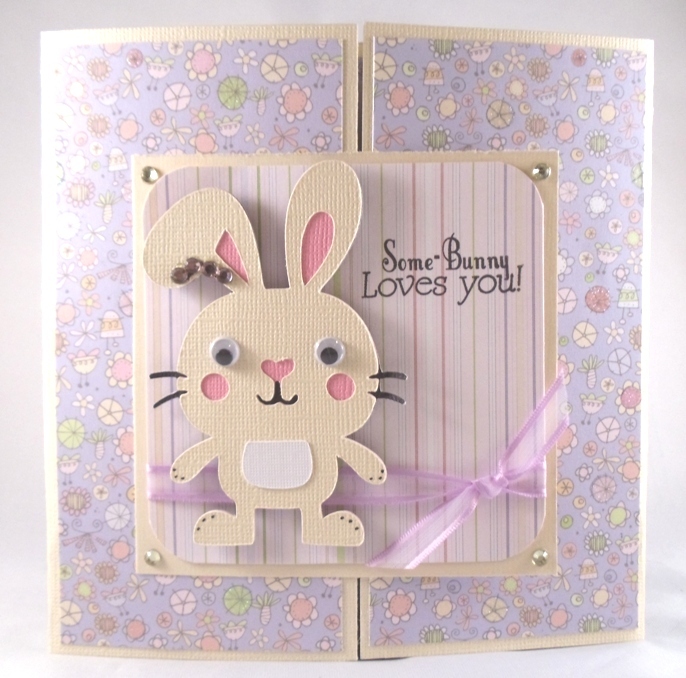 I love the purple ribbon and the bunny and sentiment are adorable! Wow your card is awesome. Just wonderful. Good luck on the 1000 followers. I am already one. Thanks for the chance to win. Very cute card! Looks alot like Spring is coming! Thanks for the opportunity to win and I hope you make it to 1000, only 5 more to go! Love Love Love your card ....and the colors are outstanding.....thanks for sharing...I think you will make 1000...no problem !!! I'm your follower 956... you are almost there!!! I love the bunny card! Adorable! I follow both of you. Thanks for sharing. Your card is soooo cute, love it!! Your card is perfect for Easter. I think the details you added are wonderful. 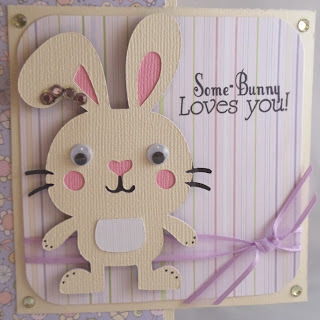 Came from Purple Scrapper and I love your card I am a new follower to your blog. 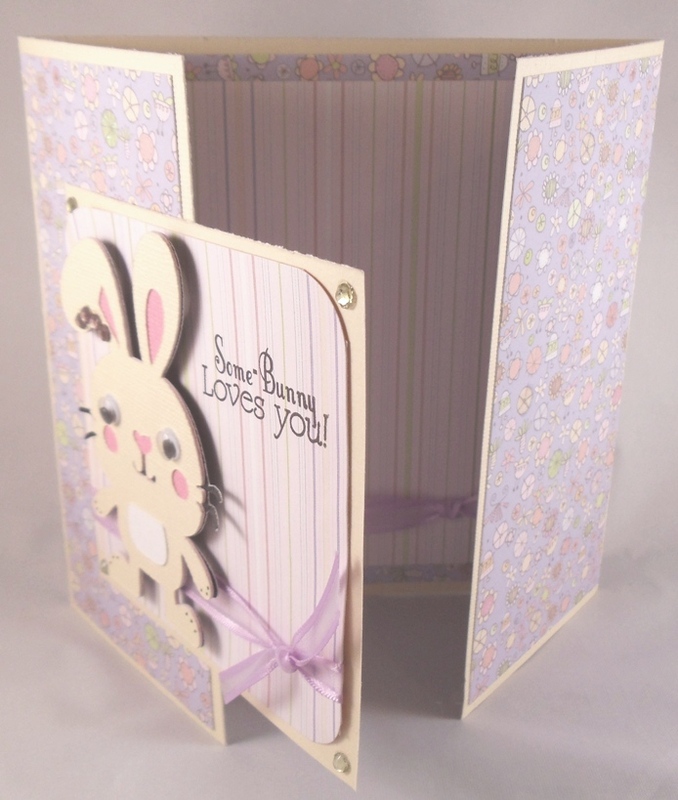 Such a pretty Easter card...great gate fold! Love that little bunny...so do my kids! TFS! Super cute bunny. I came across your blog from Pretty Paper, Pretty Ribbons blog. Hope you hit 1000! Good Luck! This card is adorable! I am your newest follower. I hope you have a chance to hop on over to my blog and if you like it,become a follower of mine too. I didnt know i needed to comment here too, I'm following you AGAIN blogger does not like me to follow people lol. good luck on your goal. 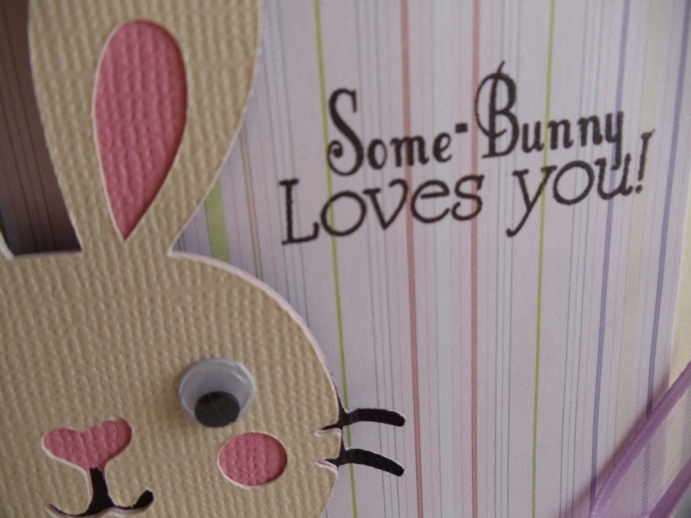 I just love your bunny card. 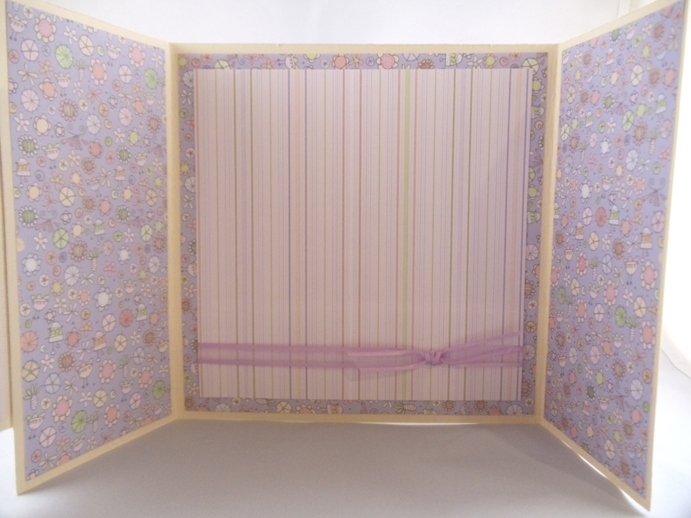 It's so cute and just great colors and pattern you chose.I am new to your blog and now will jump over to Purple Scrapbooker. Good luck on making 1000. I'm sure you will make it. Oh this bunny is so cute! I've been a follower for awhile now and I love your blog! I am now a follower of Purple Scrapbooker also! Thanks for the inspiration daily! i LOVE THE CARD...I NEED TO START MAKING SOME SPRING CARDS.. YOU GOT ME IN THE MOOD..HTANKS FOR THE GIVE AWAY..
Have a lil something for you over at my blog!!! I'm new at your blog and I do love your card. This card is absolutely adorable. I am learning so many things from you. Thanks for sharing!!! Awww! that card is so pretty..